Art is all around us, in our homes, at school and outside. At Avenue children develop a range skills and techniques and go through a range of processes to produce art. Their experiences of art may be linked to a topic they are doing or could take place as part of a one-off theme. In the early years, children are introduced to a range of art materials and tools, such as a range of paints, dough, chalks and pastels, sponges, rollers and cutting tools. They are encouraged to be spontaneously creative, using their own experiences and ideas. This continues and is built on throughout their time in school. In keys stages 1 and 2, they continue to develop the use of materials and media and develop skills further in exploring and developing ideas, investigating and making art and evaluating their work. They will experience looking at the work of well-known and historical artists as well as more local and contemporary artists. In key stage 2, children will also look at the work of particular architects. Learning in art and design is recorded in our topic books and sketchbooks. 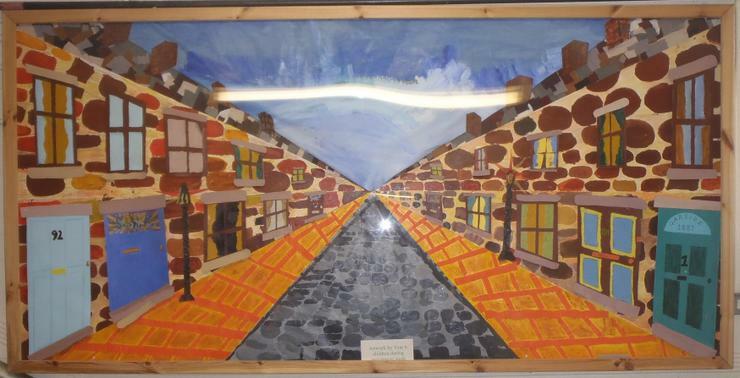 Check out our gallery to see some of the art we have created this academic year. Engaging in art activities is a valuable experience for people of all ages. At Avenue, the staff enjoyed practising some art techniques and learning new ideas during a staff meeting. Many commented on how ‘relaxing’ and ‘therapeutic’ it was. Below are some photos. Have a look at the range of art happening across the different year groups.